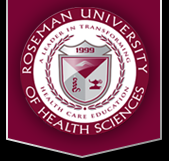 Roseman University of Health Sciences began with the idea from founder Dr. Harry Rosenberg that pharmacy education should and could be better, more effective, and capable of producing highly competent graduates, who would be sought after by employers regardless of the job market. His belief in this idea was so strong that he moved from California to Nevada in 1999, and with Roseman University of Health Sciences began with the idea from founder Dr. Harry Rosenberg that pharmacy education should and could be better, more effective, and capable of producing highly competent graduates, who would be sought after by employers regardless of the job market. His belief in this idea was so strong that he moved from California to Nevada in 1999, and with $15,000 rented a 900-square-foot office in Henderson to begin what was originally called the Nevada College of Pharmacy (NCP). It would soon become one of the most innovative, creative, and cost-effective pharmacy schools in the nation.5,000 rented a 900-square-foot office in Henderson to begin what was originally called the Nevada College of Pharmacy (NCP). It would soon become one of the most innovative, creative, and cost-effective pharmacy schools in the nation.